The year is 2009. 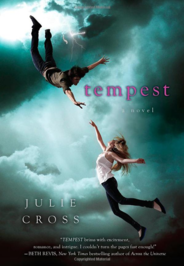 Nineteen-year-old Jackson Meyer is a normal guy… he's in college, has a girlfriend… and he can travel back through time. But it's not like the movies – nothing changes in the present after his jumps, there's no space-time continuum issues or broken flux capacitors – it's just harmless fun. That is… until the day strangers burst in on Jackson and his girlfriend, Holly, and during a struggle with Jackson, Holly is fatally shot. In his panic, Jackson jumps back two years to 2007, but this is not like his previous time jumps. Now he's stuck in 2007 and can't get back to the future. Desperate to somehow return to 2009 to save Holly but unable to return to his rightful year, Jackson settles into 2007 and learns what he can about his abilities. But it's not long before the people who shot Holly in 2009 come looking for Jackson in the past, and these "Enemies of Time" will stop at nothing to recruit this powerful young time-traveler. Recruit… or kill him. Piecing together the clues about his father, the Enemies of Time, and himself, Jackson must decide how far he's willing to go to save Holly… and possibly the entire world. A heartfelt, humorous story of a teen boy’s impulsive road trip after the shock of his lifetime—told entirely in lists! Darren hasn’t had an easy year. There was his parents’ divorce, which just so happened to come at the same time his older brother Nate left for college and his longtime best friend moved away. And of course there’s the whole not having a girlfriend thing. Then one Thursday morning Darren’s dad shows up at his house at 6 a.m. with a glazed chocolate doughnut and a revelation that turns Darren’s world inside out. In full freakout mode, Darren, in a totally un-Darren move, ditches school to go visit Nate. Barely twenty-four hours at Nate’s school makes everything much better or much worse—Darren has no idea. It might somehow be both. All he knows for sure is that in addition to trying to figure out why none of his family members are who they used to be, he’s now obsessed with a strangely amazing girl who showed up out of nowhere but then totally disappeared. 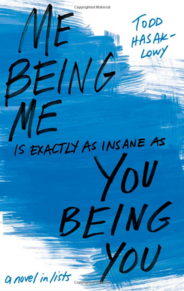 Told entirely in lists, Todd Hasak-Lowy’s debut YA novel perfectly captures why having anything to do with anyone, including yourself, is: 1. painful; 2. unavoidable; 3. ridiculously complicated; and 4. possibly, hopefully the right thing after all. One year ago, Callie was found in an abandoned apartment, scrawling words on the wall: "I KILLED HIM. His blood is on my hands. His heart is in my soul. I KILLED HIM." But she remembers nothing of that night or of the previous thirty-six hours. All she knows is that her father, the reverend at the Church of the Holy Promise, is missing, as is Hannah, a young girl from the parish. Their disappearances have to be connected and Callie knows that her father was not a righteous man. Since that fateful night, she's been plagued by graphomania -- an unending and debilitating compulsion to write. The words that flow from Callie's mind and through her pen don't seem to make sense -- until now. 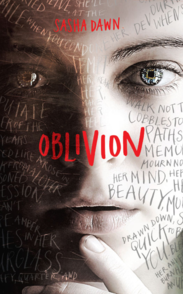 As the anniversary of Hannah's vanishing approaches, more words and memories bubble to the surface and a new guy in school might be the key to Callie putting together the puzzle. But digging up the secrets she's buried for so long might be her biggest mistake. It's 1993, and Generation X pulses to the beat of Kurt Cobain and the grunge movement. Sixteen-year-old Maggie Lynch is uprooted from big-city Chicago to a windswept town on the Irish Sea. Surviving on care packages of Spin magazine and Twizzlers from her rocker uncle Kevin, she wonders if she'll ever find her place in this new world. When first love and sudden death simultaneously strike, a naive but determined Maggie embarks on a forbidden pilgrimage that will take her to a seedy part of Dublin and on to a life- altering night in Rome to fulfill a dying wish. Through it all, Maggie discovers an untapped inner strength to do the most difficult but rewarding thing of all, live. 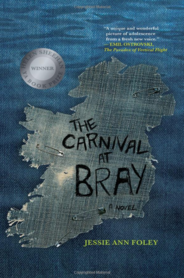 The Carnival at Bray is an evocative ode to the Smells Like Teen Spirit Generation and a heartfelt exploration of tragedy, first love, and the transformative power of music. 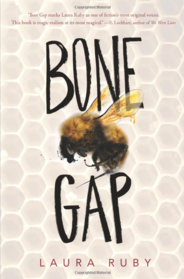 The book won the 2014 Helen Sheehan YA Book Prize mily ties, taboos, and the ever-present specter of mortality. Finding and identifying a pirate ship is the hardest thing to do under the sea. But two men—John Chatterton and John Mattera—are willing to risk everything to find the Golden Fleece, the ship of the infamous pirate Joseph Bannister. At large during the Golden Age of Piracy in the seventeenth century, Bannister should have been immortalized in the lore of the sea—his exploits more notorious than Blackbeard’s, more daring than Kidd’s. But his story, and his ship, have been lost to time. If Chatterton and Mattera succeed, they will make history—it will be just the second time ever that a pirate ship has been discovered and positively identified. Soon, however, they realize that cutting-edge technology and a willingness to lose everything aren’t enough to track down Bannister’s ship. They must travel the globe in search of historic documents and accounts of the great pirate’s exploits, face down dangerous rivals, battle the tides of nations and governments and experts. 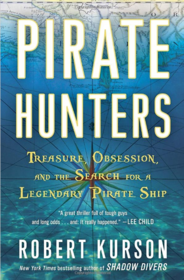 But it’s only when they learn to think and act like pirates—like Bannister—that they become able to go where no pirate hunters have gone before. Fast-paced and filled with suspense, fascinating characters, history, and adventure, Pirate Hunters is an unputdownable story that goes deep to discover truths and souls long believed lost.